The red rose is the ultimate romantic gesture, simple, powerful and extremely passionate. Our single red rose is a gorgeous Rhodos long-stemmed red rose, the most sought-after rose due to its velvety petals and sweet scent. 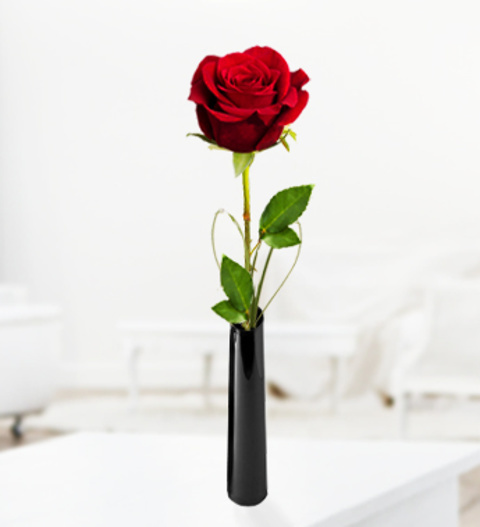 The rose is presented in a single vase nested in a wooden Love case with a floristry finish. FREE box of fine British Crafted Chocolates included.